Add Junior Seau’s family to the thousands of people who are suing the NFL over the long-term damage caused by concussions. Seau’s ex-wife and four children sued the league Wednesday, saying the former linebacker’s suicide was the result of brain disease caused by violent hits he sustained while playing football. The wrongful death lawsuit, filed in California Superior Court in San Diego, blames the NFL for its “acts or omissions” that hid the dangers of repetitive blows to the head. 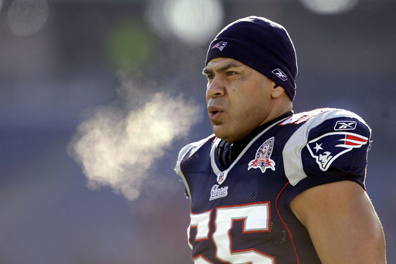 It says Seau developed chronic traumatic encephalopathy (CTE) from those hits, and accuses the NFL of deliberately ignoring and concealing evidence of the risks associated with traumatic brain injuries. Helmet manufacturer Riddell Inc., also is a defendant, with the Seau family saying Riddell was “negligent in their design, testing, assembly, manufacture, marketing, and engineering of the helmets” used by NFL players. The suit says the helmets were unreasonably dangerous and unsafe. “In 1993’s ‘NFL Rocks,’ Junior Seau offered his opinion on the measure of a punishing hit: ‘If I can feel some dizziness, I know that guy is feeling double (that),’” the suit says.